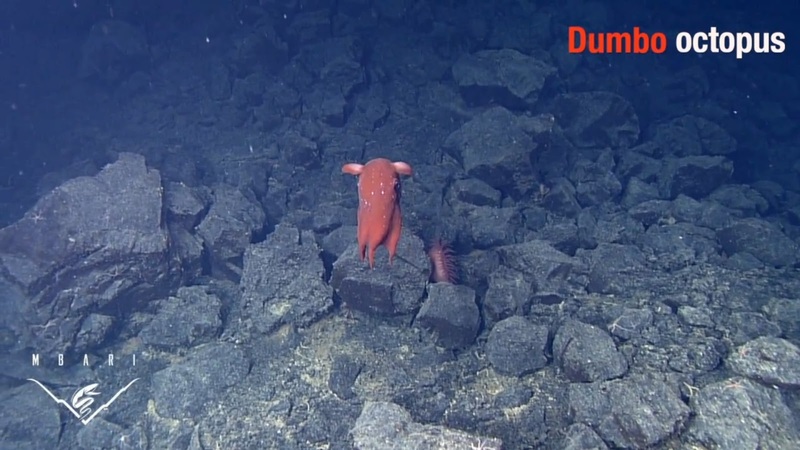 This Dumbo, or Flapjack Octopus is just one of a whole host of blobs in MBARI's latest video. None of the others bounce around with such a... devil may care attitude, though! Lots of cool stuff in there, including many old friends. There's a big Comb Jelly with its cilia sparkling as they wave to and fro. You can also see one of the two tentacles which it uses to capture prey. A crazy-looking nudibranch. 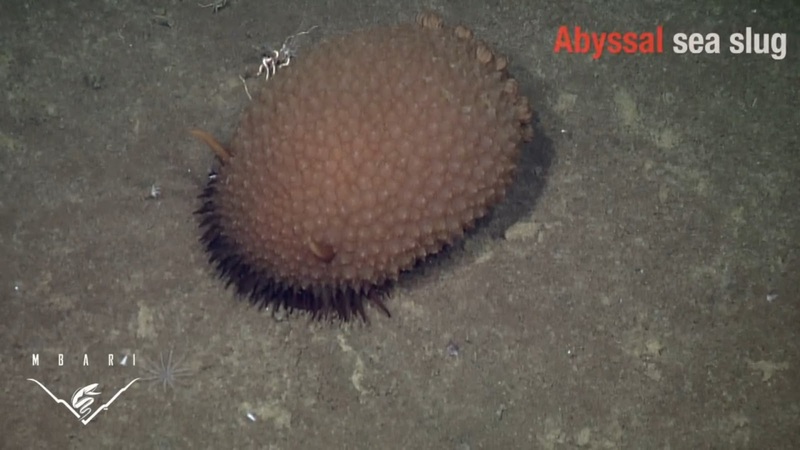 It looks sort of fuzzy but apparently those bumps all over its body are used to extract oxygen! Then there's a Beroid Comb Jelly. These ones don't use tentacles to catch prey, they're basically one, big mouth which regularly engulfs other Comb Jellies. The Predatory Tunicate that comes next is a mouth on a stalk! 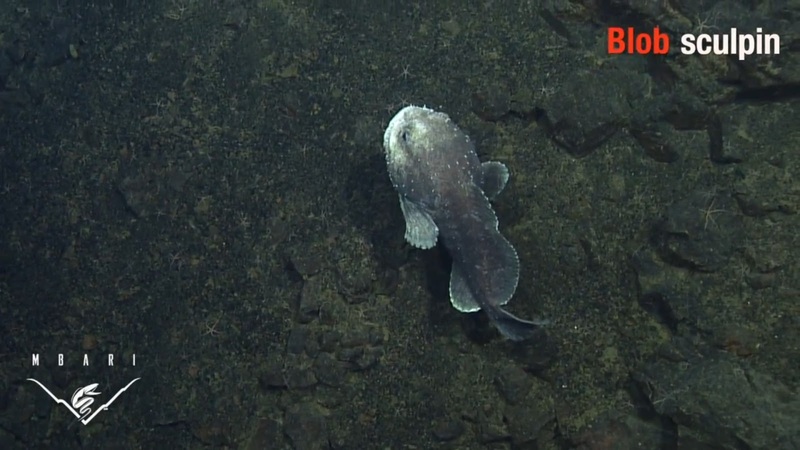 The Blob Sculpin is closely related to the Blobfish but come from a different part of the world. They have similarly gelatinous flesh which gets deeply immiserated if they're dragged up to the surface but in the immense pressure of the deep sea, they look pretty good! After the frolicking Flapjack we get to see a remarkably flowery sea slug and the back end of a lumbering Sea Pig. I just can't get over those ridiculous flab-feet! Finally, a... rubbish heap? Buzzing with flies? 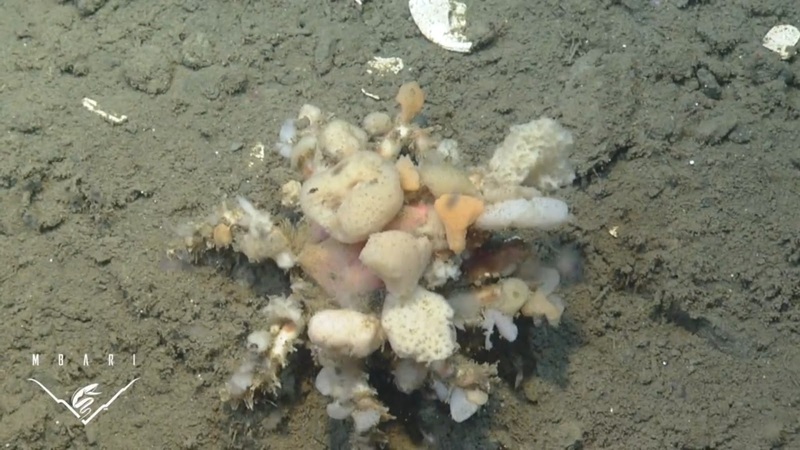 Beneath the mess is a Decorator Crab ("decoration"... right). There really is a crab under there! They're covered in little hooks that allow them to attach sponges and other stuff to their body, which this one has done with GUSTO. wow, that last one... eek! i like the blob just before him, tho! 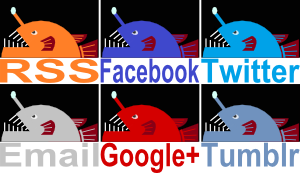 Yeah, that last one just looks like a heap of rubbish. It's like a bin monster! Decorator Crab, well lah dee dah. I lived in garbage for a few years and all anyone ever called me was "homeless." They must have a great publicist!